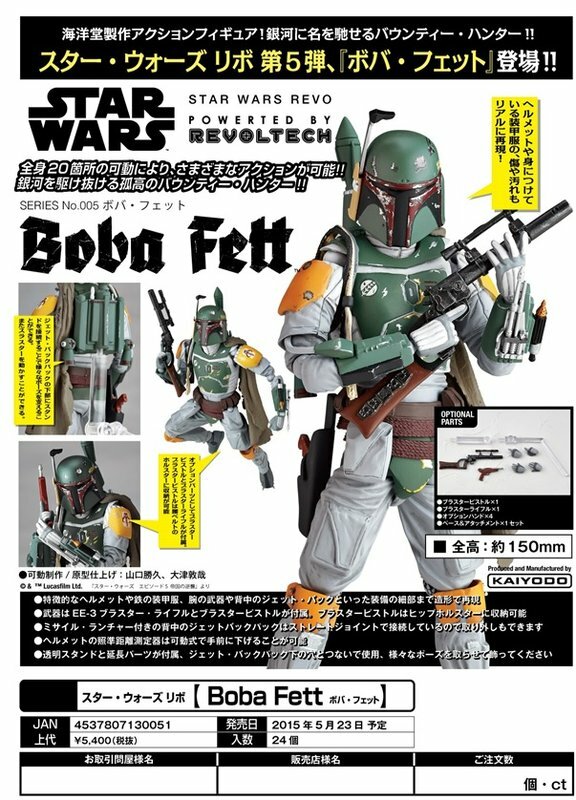 Kaiyodo is making a Revoltech figure of the famous space bounty hunter, Boba Fett! He comes equipped with his custom blaster rifle, a blaster pistol, and several extra hands. The toy also comes with a clear support arm that plugs into his jetpack. Boba Fetta stands 15 centimter talls. Coming May 2015 for 5,400 yen.